” The Girl from Ipanema ” is a well-known Brazilian bossa nova song, a worldwide hit in the mid-1960s that won a Grammy for Record of the Year in 1965. 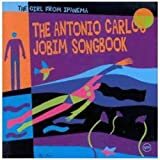 It was written in 1962, with music by Antonio Carlos Jobim and Portuguese lyrics by Vinicius de Moraes. English lyrics were written later by Norman Gimbel.The first commercial recording was in 1962, by Pery Ribeiro. The version performed by Astrud Gilberto, along with Joao Gilberto and Stan Getz, from the 1964 album Getz/Gilberto, became an international hit. In the US, it peaked at number five on the Hot 100, and went to number one for two weeks on the Easy Listening chart. Overseas it peaked at number 29 in the United Kingdom, and charted highly throughout the world. Numerous recordings have been used in films, sometimes as an elevator music cliche. 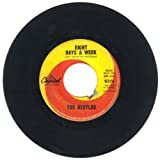 It is believed to be the second most recorded pop song in history, after ” Yesterday ” by The Beatles. In 2004, it was one of 50 recordings chosen that year by the Library of Congress to be added to the National Recording Registry. In 2009, the song was voted by the Brazilian edition of Rolling Stone as the 27th greatest Brazilian song. Use cyberspace to learn about your treasured piano music and to learn keyboard faster that ever thought possible. For example, you can always download and play a quality course online and then explore through our web-site to find the sheet music to supplement it, saving you a lot of dough. Diversify yourself into learning an extensive array or repertoire whether you plan to study popular piano, classical music or even whatever.